No more Cinderella stories as investment booms. Here’s a fun piece of trivia: Hai, LemonNation, and Piglet. What do all three of these players have in common? Some likely answers might be: they’re popular players with long careers. They’ve all attended Worlds. They could all be reasonably considered ‘Hall of Famers’ once they retire. All of those answers are correct, but they’re not quite what I’m looking for. Here’s the really interesting answer: all of these players are currently playing in the North American Challenger Series. Hai and LemonNation are on Cloud9’s Challenger team after announcing that they intended to scout young talent, foster them, and work towards finding new talent. This is certainly an admirable goal. 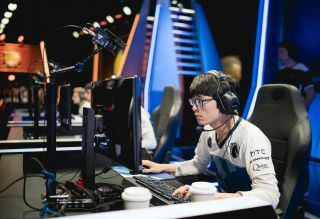 Dardoch and Biofrost are two examples of young talent who come from North America, which is a region that sports its fair share of imported players from other regions. With the region locks in place, and rumours that those locks are about to become even more restrictive, native talent is extremely important. Some fans have wondered whether Cloud9 is really there to pick up Challenger talent, and they’re keeping their lips sealed about their plans. There has been word of scrims, and the recent pickup of Contractz (formerly of Ember) is a sign of progress. Piglet is another tale altogether. From World Champion to Challenger series seems like quite a fall, but at the same time, the circumstances are quite understandable. Piglet is a player who was nicknamed ‘Practice Worm’ for the long hours that he put into the game. Even when he was on Liquid, there was never any question that Piglet cared. His sights were set firmly on making it back to Worlds, and when Cloud9 knocked Liquid out of the gauntlet in their infamous Cinderella story from ninth place to Worlds, Piglet sobbed into his keyboard. The unrelenting passion, combined with another fourth place finish, must have been devastating. Now, Piglet is playing in Challenger, and his teammates say that he seems happier. There are photos of him smiling with his teammates on Liquid Academy. Even if this is where Piglet’s career ends, he’s still a World Champion, and his mechanics are no doubt a cut above your average Challenger player. When you have a world class shotcaller, a World Champion, and a veteran coach and player in a circuit that’s meant to be a place for amateurs, that raises the question of whether that’s fair. Part of the fun of Challenger has been the dream of getting a group of friends together and competing. Of course, every year, the circuit moves farther and farther away from this casual ideal. Eanix, for instance, bought Team Dragon Knights for a sizable sum, in a mirror of the big money deals that have become commonplace in the LCS. Challenger teams are investing in gaming houses, analysts, coaching, and staff. Challenger is, in essence, developing into a competitive league of its own. The promotion system encourages this. The best teams have a shot at making it to the LCS. The problem is that, historically, once Challenger teams make it to the LCS, they have a hard time staying there. While Apex seems to be holding their own as a mid tier team, they are an exception who are loaded with LCS-tested talent. Coast, the Renegades, NME, and Team Dragon Knights have all been one split wonders who graduated and were summarily booted back into Challenger. Riot presumably wants to counter the revolving door, hence the changes to auto promotion and relegation, but it doesn’t seem quite enough. So, what’s to be done? Well, this might be part of the necessary growing pains. As established esports brands continue to invest into Challenger, they may find that there’s more than the scene needs than just money. Think back to Spring, when the Immortals swept through North America with a devastating 17-1 record. While they didn’t win the Split, they shook the entire region up. Now, in Summer, the playing field is decidedly more even. This may be a similar situation: with Cloud9 and Liquid fielding strong Challenger rosters, we may see the rest of Challenger grow as a result. For too long, Challenger has been a field of rough teams against a few polished rosters. People are crying foul now that the gap has widened further, but this may be exactly what the scene needs. If Challenger is meant to be a legitimate stepping stone to the LCS, then it needs to viably prepare players for the LCS. As it stands, that simply isn’t working. The dream of a few close friends banding together and becoming pros with no infrastructure or support has been dead for a long time, and it’s time to admit it. Now, does this mean the system is perfect? Of course not. Currently, an LCS spot has a massive monetary value attached to it. When Apex made the LCS, they turned around and prepared to do the exact same thing with Apex Pride, and they’re likely doing it for the paycheque involved in selling a second slot over the thrill of competition. Cloud9 and Liquid Academy both have strong rosters and could also benefit from similar paydays. This may not necessarily be a bad thing, however. When there’s money involved in the scene, and a way to benefit, that encourages teams to invest in the scene. As long as they stick around and invest some of that payday back, there’s nothing inherently wrong with making money off Challenger. While 2016’s North American Challenger circuit seems lopsided and unfair, consider that 2017—and 2018, and onwards, may end up being legitimately exciting for the scene. Every scene goes through growing pains at one time or another. Playing against a World Champion may seem wildly unfair—or it may be the experience of a lifetime. It likely depends on your perspective, and maybe in a couple of years, hindsight will give us a clearer vision on whether this was an opportunity or an oppression by the LCS elite.